Book signing and discussion Wednesday Sept. 26 at Waterloo Records. 5 p.m.
Kevin Curtin of the Austin Chronicle captures the project well. Margaret Moser blogs about the Dranes project. 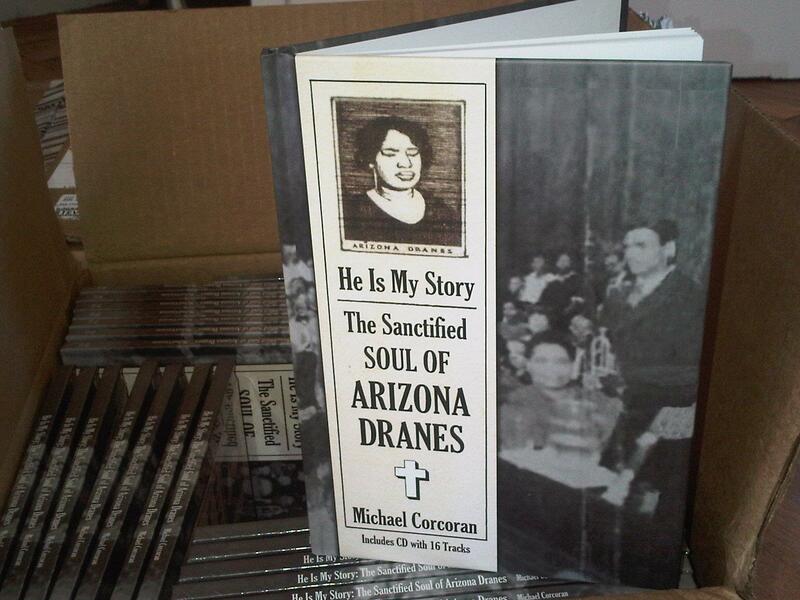 “He Is My Story: The Sanctified Soul of Arizona Dranes” contains 50-pages of liner notes and an expertly remastered CD containing all 16 tracks Dranes recorded in Chicago from 1926- 1928. Born blind in Sherman, Texas, Arizona Dranes learned to play piano at the Institute For Deaf, Dumb & Blind Colored Youths in Austin, which she attended from 1896- 1912. She was 37 year old, not 20 or 21 as previously reported, when she made six recording on one day in Chicago that mixed the secular and the spiritual in ways that had never been done before. A member of the Pentecostal Church of God In Christ, Dranes was the first to bring “hot” piano- ragtime, barrelhouse, boogie boogie- to songs of praise. Among those who’ve acknowledged Dranes as an influence was Thomas A. Dorsey, the Father of Gospel Music. World Magazine credits Arizona Dranes as the architect of rock n’ roll. This entry was posted on August 26, 2012 at 3:14 pm	and is filed under Gospel, Texas Music History. You can follow any responses to this entry through the RSS 2.0 feed. You can leave a response, or trackback from your own site.